The past few Spring seasons, there has been an onslaught of new releases to keep music fans happy and this year has been no different. My iTunes queue and Best Buy visits have increased greatly since the Ides of March. This also results in fits of panic in trying to keep up with the latest hits. Field Manual, was one album I had been anticipating since a post last November on NPR‘s superb site, All Songs Considered. The single, “Everybody On”, immediately caught my ear with its sway-worthy hook, breezy instrumentation and a unique voice. Until I read the post, I had no idea the familiar voice I heard was Death Cab For Cutie member, Chris Walla. Other than some recent promotion from a co-worker, I really hadn’t given Death Cab many listens. I mostly wrote them off as “emo” and didn’t give them many spins. After a few delays and an unexplained incident with customs, Field Manual was released in January. While I wasn’t able to give it a thorough listening until March, it was well worth the wait. Walla played all instruments (except drums) on the album and crafted catchy indie pop similar to his production work on Tegan and Sara‘s The Con. Songs like “The Score” (a political discussion disguised as a pop song) and “Everyone Needs A Home” (an ode to the hardships of Katrina) showcase Walla’s ability to make bouncy and listen-able gems with an underlying message. 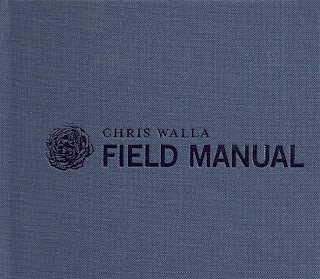 Field Manual outlays how to make an smart, indie rock album that performs well after multiple listens and allows Chris Walla to shine on his own. Though it probably won’t reach the masses like Death Cab For Cutie’s next album, hopefully it will get the props it deserves on year end album lists.